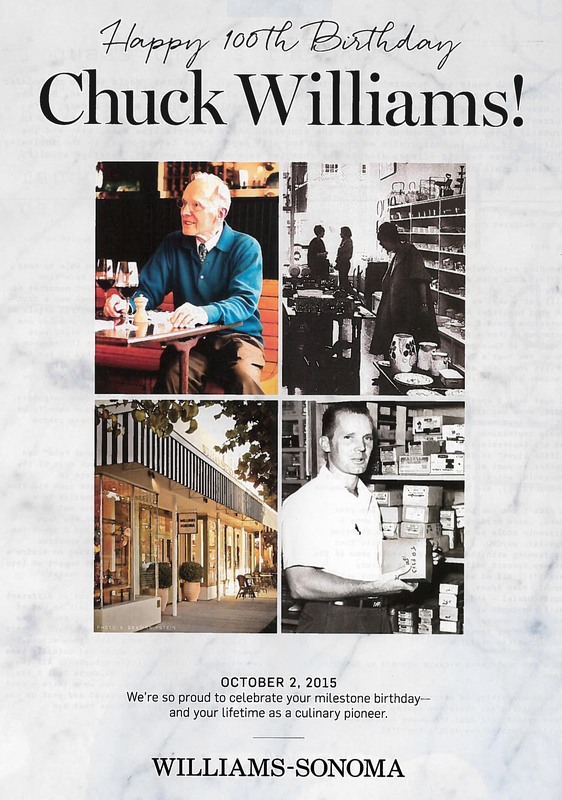 Over the years we have been fortunate to work with some of the most significant people in the American culinary world; without a doubt, Chuck Williams falls into this category. Over one hundred years he has touched many people and has helped transform how Americans cook. We are fortunate to have worked on a number of flagship Williams-Sonoma stores over the years including ones in New York, Beverly Hills, and Toronto. It was always exciting to go to Williams-Sonoma’s San Francisco headquarters for meetings – talking with Chuck about the latest culinary discoveries whether a new flour that he was trying or his latest cookbook. BCV’s Williams-Sonoma stores in New York City and Beverly Hills. One of my favorite exchanges with Chuck had to do with how he built his first stores in Sonoma and then San Francisco; how he constructed his shelving out of plywood and even went on to revise some of the Sonoma fixtures in San Francisco. He told the story of strategically renting the space on Sutter Street next to the fashionable Elisabeth Arden Salon. The original Sutter St. location. I have great memories from my childhood of shopping at the Sutter Street store. I remember a funny experience at the holidays one year, going there with my aunt to look for my parents’ presents. My aunt had a question and walked up to a gentleman in a green Williams-Sonoma apron and started asking him a question – I was shocked because she was talking to James Beard, who was there for a cooking demonstration and could not have been nicer to her. The store was and is an amazing crossroads of the food movement. Chuck created this crossroads and continues to nourish it here in San Francisco and throughout the world. We raise our glasses to Chuck for his 100 years and wish him many happy returns. 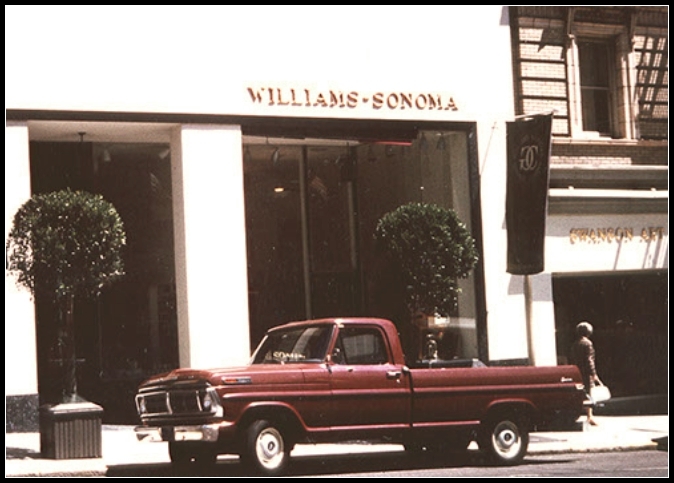 A final note: Williams-Sonoma has moved to Post Street and then Union Square, but marks the original Sutter Street location. In a nice twist of fate, we have recently invested in the bar Cantina, which occupies a portion of this space.